Made of bricks, wood, stone, and cement, houses are generally pretty solid structures. But don't be bamboozled: Your home is not an investment. It is shelter, security, and a family base -- but don't expect it to make you rich. It's easy to see why real estate has earned a reputation as an attractive investment strategy. Forbes magazine's annual list of the richest Americans is peppered with folks who've made billions in real estate, such as Donald Bren (No. 26, with $12 billion), Richard LeFrak (No. 60, $5 billion), and Leonard Stern (No. 75, $4.2 billion). Media mogul Ted Turner isn't typically associated with real estate, but he's our nation's biggest landowner, holding about 2 million acres, the equivalent of nearly three Rhode Islands. More ordinary success stories abound, as well, such as that fellow you know who owns a few buildings and seems to be doing quite well collecting rent checks each month. Or your friend who loves telling you how she bought a certain house for $30,000 years ago and then sold it for $130,000. It's true: A lot of real estate wealth has been made by buying potentially valuable land early and then waiting for its value to be realized. Time to Bet the House? It's a big-time buyer's market, with foreclosures mounting and buildings selling for a fraction of what they were once worth. Experts predict that the housing market won't bottom until at least 2012, and first-time home buyers, who made up half of sales last year, generated only 32% of sales in August. 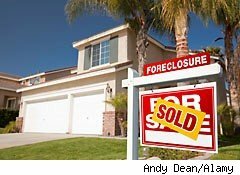 Sales of foreclosed properties made up 31% of all home sales this past spring, about six times the usual level. And, more active than usual lately, investors generated 22% of sales in August. It's all enough to make you want to jump in and join the action, but hold on. Buying a building for investment purposes, to collect rental income, isn't as easy as it seems. Successful landlords have to deal with troublesome tenants (and sometimes have trouble finding good tenants -- or any tenants), repairs and upkeep costs, property taxes, and more. Buying and flipping properties can backfire, too, if a property doesn't end up fetching the price you wanted, or if it ends up costing you more than expected to fix it up. Prices of supplies such as lumber and copper can be rather volatile, for example. Finally, it's also dangerous to buy a home to live in, thinking of it as an investment that you can sell for a profit. That certainly happens often, but it's not guaranteed. Local housing markets can quickly turn sour -- and as we've been reminded recently, poor housing markets can remain poor for many years. According to recent data from CoreLogic, roughly 11 million homes are now "underwater," meaning that their owners owe more on their mortgages than the properties are worth. More than a third of all prime mortgage borrowers are underwater. You can blame that on the poor economy, but over many years -- featuring both buyer and seller markets -- real estate has not, on average, been the most effective way to build wealth. According to National Association of Realtors Chief Economist Lawrence Yun, home prices have appreciated by an annual average rate of about 5.5%, topping inflation by only 1 or 2 percentage points. That kind of gain isn't going to make anyone wealthy. Contrast those numbers with the stock market, which has averaged annual returns of around 9% to 10% over many decades -- exceeding inflation by roughly 5 percentage points or more. Better still, stocks are far more liquid, meaning that you can sell them very rapidly, whereas homes for sale might linger on the market for months or even years. You're not totally out of luck if you want to make money on real estate, though: You can park some money in real-estate-related stocks. Home Depot (HD) and Lowe's (LOW), for example, tend to prosper in strong housing markets, which also boost mortgage-providing banks, property insurers, and home builders. You might also look into real estate investment trusts, or REITs, which are companies that own income-producing real estate, with some focusing on particular sectors such as medical buildings or shopping centers. Exchange-traded funds, or ETFs, such as the Vanguard REIT Index (VNQ) let you invest in a bundle of REITs in one fell swoop. And broader ETFs, such as the Vanguard Total Stock Market (VTI) or the Vanguard Total World (VT), will plunk you in real estate and everything else -- including industries likely to grow faster than real estate. Longtime Motley Fool contributor Selena Maranjian holds no position in any company mentioned. Click here to see her holdings and a short bio. Motley Fool newsletter services have recommended buying shares of Lowe's and Home Depot, as well as writing covered calls in Lowe's.